The Fiber of our Being! There is one magical word that keeps coming up the minute we become mothers. Poop. Yup, glorious, smelly poop. After all, poop is a major indicator of how things are working inside. Is everything passing through properly, is she getting enough water, is she allergic to anything. In a few extreme cases, when your more-than-enthusiastic wanderer has gone and swallowed something, the doctor asks you to wait for it to come out. And that has you desperately watching over the little prince’s royal poop, much to his highness’ amusement. But for many kids, the whole pooping exercise can be a nightmare, ridden with pain and discomfort. Though this can be due to several causes, the most common one is associated with the child’s diet – usually a lack of fiber and insufficient fluids. My own little Cub has had his share of poop-related difficulties and he ended up taking a little laxative tablet every day, to gently jump start his system. It is inconvenient, and he has then got to be weaned off from it gradually, so that his own body can take over. Since then, I’ve been on the lookout for high fiber foods. From my research, it’s mainly whole grains, nuts, fruits and vegetables. I didn’t want to do a complete diet overhaul – that would obviously lead to him not eating anything. So, I tried modifying our existing diet, and guess what, it isn’t difficult at all!! 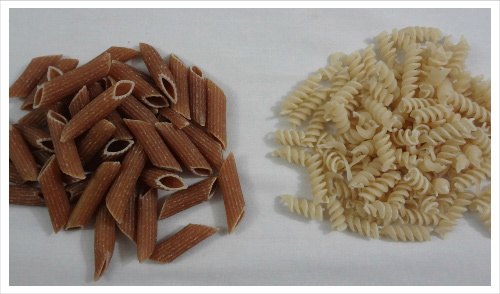 Just take the stuff you regularly eat and make slight alterations, to include the aforementioned high fiber components. You don’t need any of the fancy, imported ingredients. 1. Use only atta for all rotis/parathas/puris. 2. 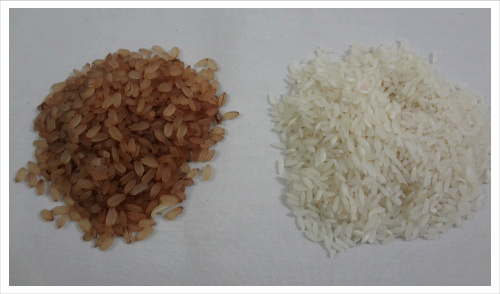 Completely avoid white rice – opt for brown rice. 3. Try multigrain dosas instead of regular white rice dosas. They’re actually quite easy to make. 4. Sprinkle flaxseed on your oatmeal or morning cereal. 5. Skip the cornflakes and other sugared cereal, go for whole bran flakes. 7. Whole wheat bread is available in most supermarkets, but whether it is entirely whole wheat is a question http://humanrightsfilmnetwork.org/celebrex mark. If you have an oven at home, you can try baking your own bread, you don’t need any special ingredients and everyone’ll love the taste of fresh, warm home baked bread!! 2. Fruit with edible skins like apples and pears. Wash well and DO NOT PEEL. 3. Dry fruit like prunes, figs, walnuts and almonds. 5. Potatoes, pumpkin, broccoli and cauliflower – all super fiber veggies. Avoid too much milk or too many milk products, they tend to cause constipation. The biggest challenge most parents face is when it comes to snacks. It is really easy to just reach out for that pack of biscuits or instant noodles, but these cause havoc with the digestive system that is already lacking in fiber. 4. Wraps made of whole wheat rotis or sandwiches made of whole wheat bread. 6. Little tikkis/cutlets made with a mix of mashed potato and any other vegetable like carrot, beetroot etc. Just be sure to shallow fry them. 7. Vegetable sticks with some thing to dip – some green chutney or a flavored cheese spread would do. 8. Muffins – you can substitute white flour for whole wheat flour in most recipes without any noticeable difference. Try to go for ones which include a fruit or vegetable, and go for only 3/4th the quantity of sugar. These make great lunchbox options too. One point to consider is to increase the fiber in a child’s diet very gradually. Too much fiber at once can cause more harm than good. Also be sure to include lots of water.